Successfully Added Digital Camera 6.0M Pixel - SD/MMC External Memory to your Shopping Cart. Popular digital camera direct from Chinese manufactures to you with image resolution up to 6.0M Pixels via interpolation and a SD/MMC card slot for up to 512MB of picture taking. 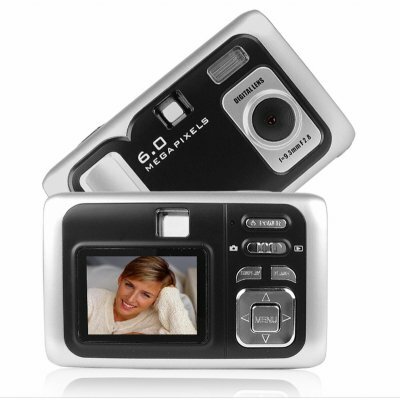 This wholesale digital camera also takes AVI digital movie clips of 320x240, in camera picture editing, and is Pictbridge compatible for printing directly from the camera to a printer. This product has high performance components, is one of our very popular wholesale orders, and will exceed your expectations. Note on Interpolation: Please note that this camera takes images in sizes equivalent to 6.0 megapixels. This is through a software resizing process on the camera called interpolation. The image sensor of this camera has a native resolution of 3.0 megapixels.